The Hilton San Francisco Union Square is a renowned world-class destination and one of the largest hotels on the West Coast. 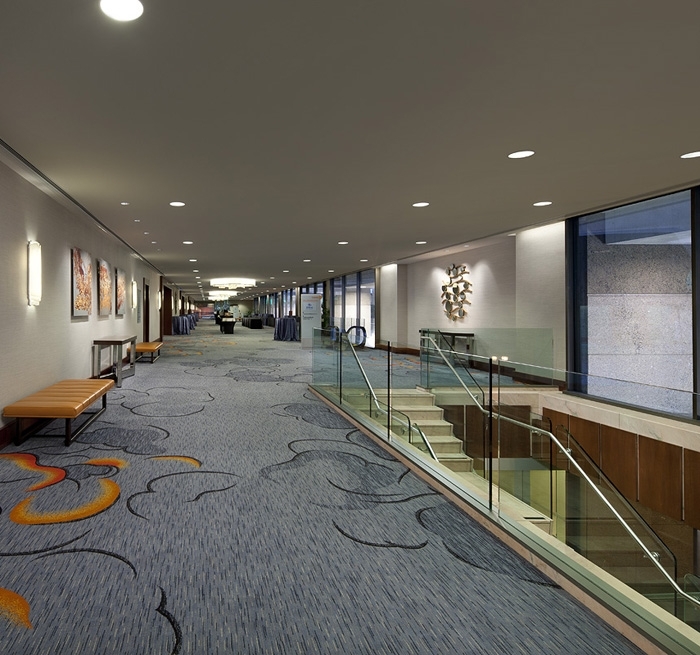 Built in 1964, the hotel features 1,908 guest rooms, meeting areas and special events spaces. 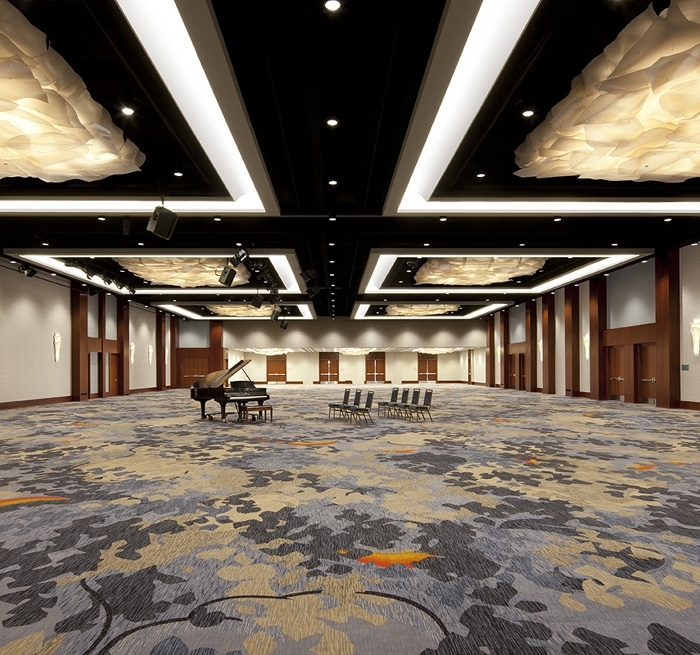 Auerbach Glasow was the architectural lighting designer for the renovation of the Continental Ballroom and associated pre-function areas. 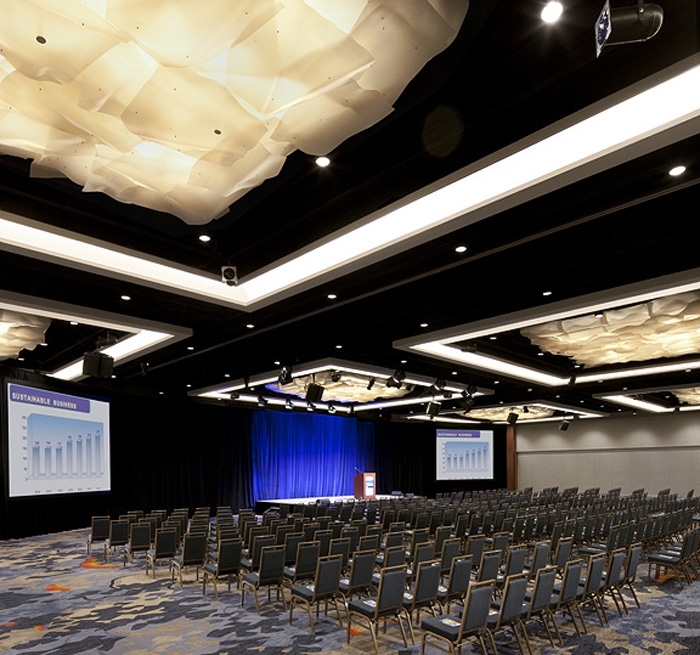 The Ballroom ceiling infrastructure was retained and the new design had to adapt to the existing conditions. Custom designed chandeliers and illuminated coves were incorporated into new floating ceiling planes. Custom sconces and downlights supplement the predominant ceiling fixtures. LED light sources were used exclusively in the chandelier and downlights providing an exceptionally energy efficient solution.